QUESTION: How do you penalize/reward a rider that has to use their crop during a round? 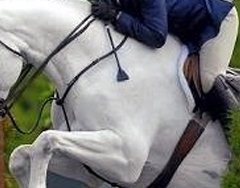 Is this action judged differently in equitation vs. hunters? While the carrying and use of crops is optional, their usage ranges from a slight tap to a significant “hit” behind the saddle. The issue of using the stick during a show performance is discussed among our judges.